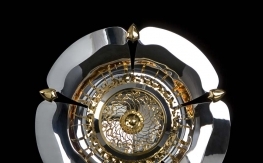 Trophy information: The trophy’s design reflects the beauty of the sport and the tradition of a region. 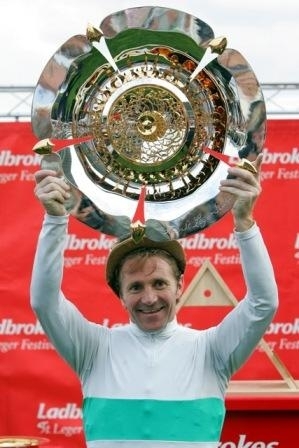 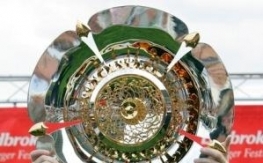 The main dish represents a large white (silver) Yorkshire rose with gold detailing, the rim of which will be engraved with the names of the winning horses. 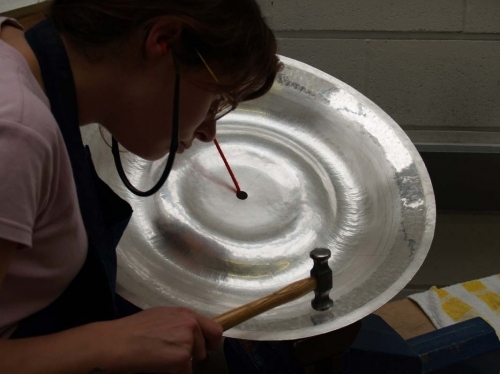 The main dish has been hand wrought from a large disc of silver taking over five weeks to produce using traditional hand skills. 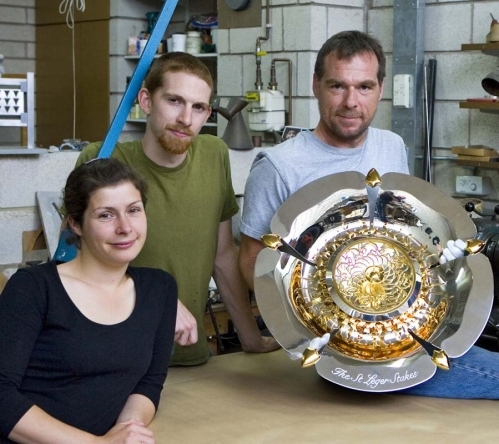 Growing from the centre are three rings of flame made of gold-plated silver. 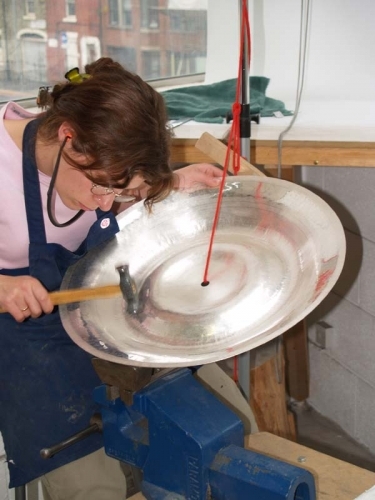 The flames were inspired by and represent the industry of the region. 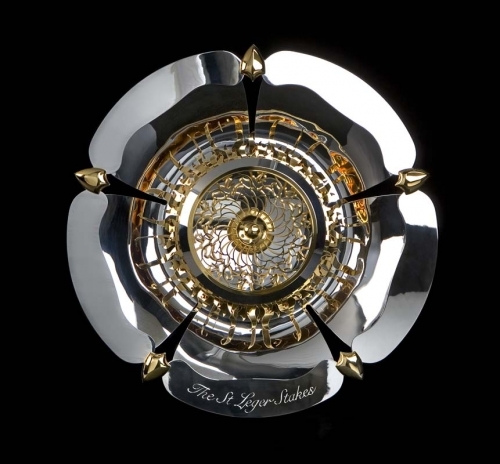 The three rings are symbolic of the race being for three year old thoroughbreds, and the final leg of the triple crown, but was also inspired by an old Yorkshire flag that illustrated a white rose encircled by flame. 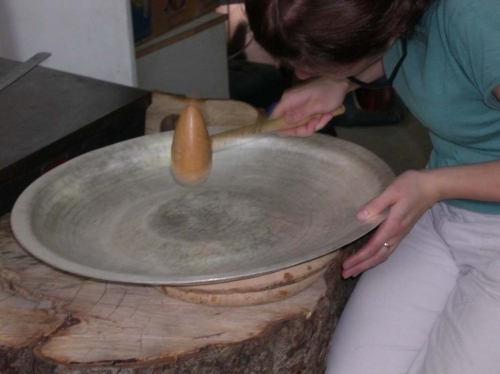 My main influence was on forming the main dish itself. 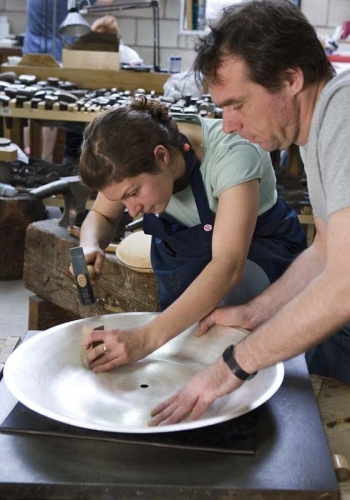 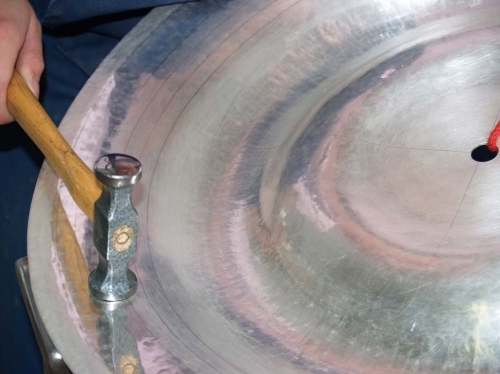 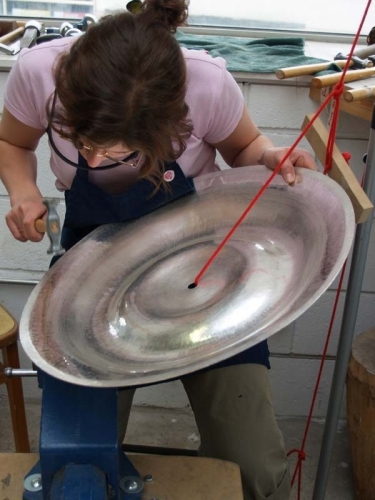 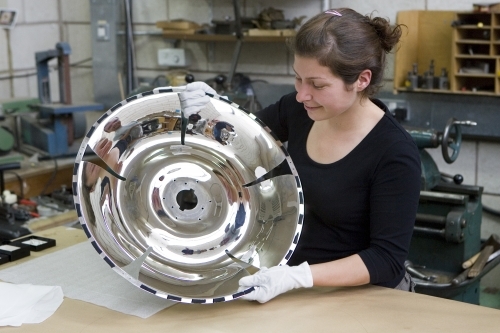 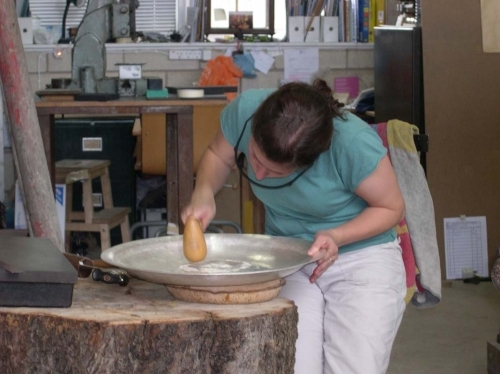 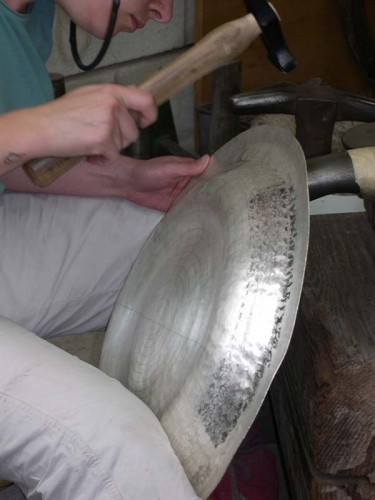 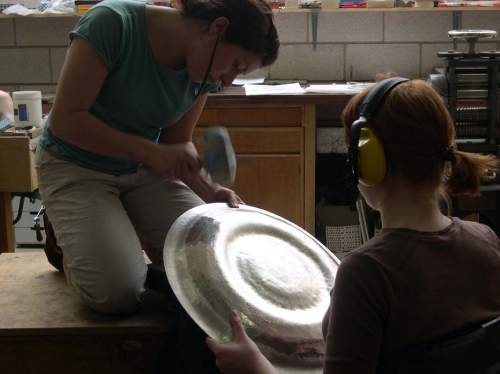 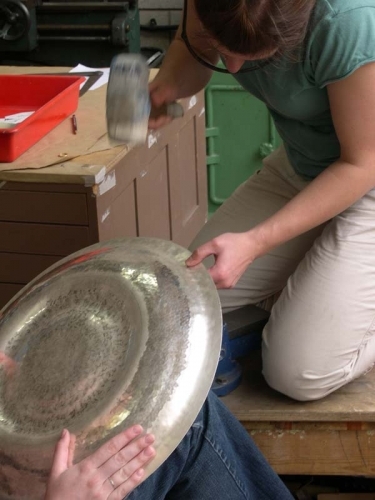 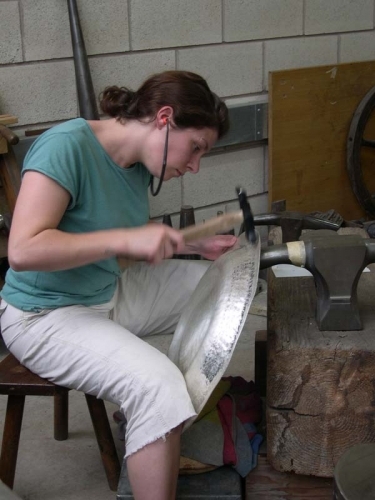 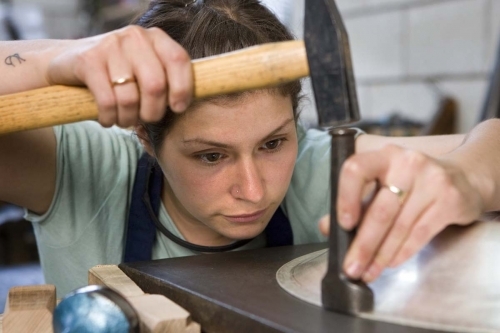 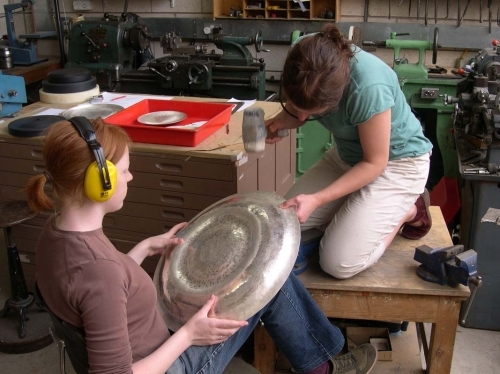 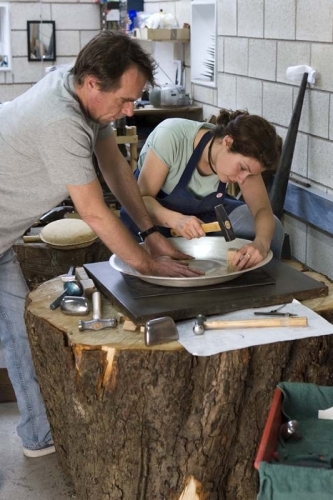 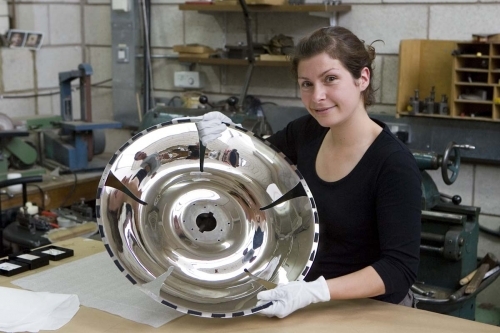 A large thick disc of silver was peened – which is a type of stretching through hammering, in order to have a big enough blank size to start forming. 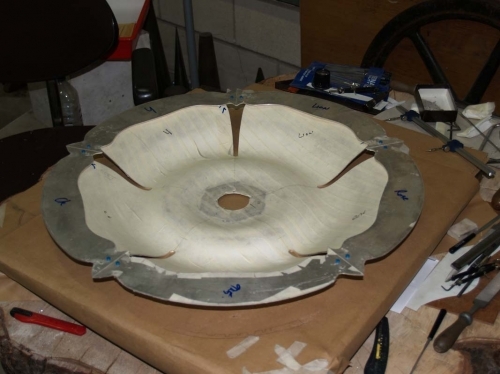 Raising and blocking techniques were used with some further peening to create the rippled rose effect. 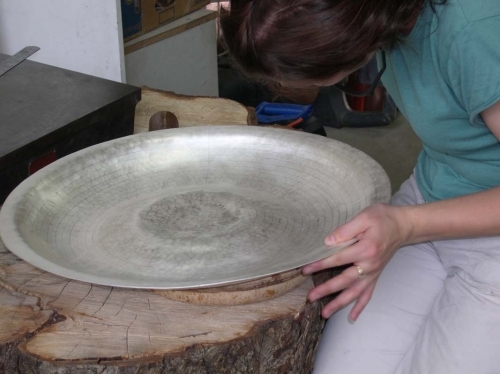 This was a physically challenging piece, being difficult not only to hammer and move – but in simply being able to hold and reach while working!